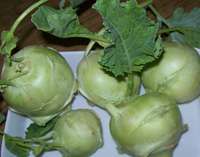 Kohlrabi is called knolkol or navalkol in Indian languages. I like the sound of knolkol so I will be using that name here on this page. This recipe of knolkol with lentil does not use many spices. You can use whole or split Masoor(red lentil), split or whole mung(mung dal/ green gram dal)as both cook equally fast. Choose tender knolkol. You will need to remove the skin of knolkol and use only the fleshy part.You may use the leaves too. I am using split Masoor dal(red lentils) for this recipe. Knolkol and masoor, both have a similar cooking time. You may also use whole masoor / red lentils instead of split ones. If you use pressure cooker, you can reduce cooking time considerably. Knolkol - 1 cup, cut into bite sized pieces. Masoor dal(red lentil) - 1/2 cup. Asafoetida (hing) : a pinch. Boil knolkol and dal together in 1 1/2 cup water till just done(it will take about 10-15 minutes). Or you can pressure cook it together. Add mustard and cumin seed. When they stop spluttering, add Asafoetida (hing) and turmeric powder. Add the cooked knolkol/masoor dal mix. Add chili powder, cumin and coriander powder, curry leaves. Add salt, sugar. Stir and continue cooking. Add a little water to get the desired consistency. It should be dal like consistency. Neither too watery nor too thick. Cook on low flame for 5 minutes. Add fresh coconut, chopped Coriander leaves(cilantro). Mix well. To reduce final cooking time, you can cook kohlrabi and dal for 10 minutes before adding to seasoning. Or you can pressure cook it.